Travelling in Central America continued to surprise. After a crazy week of diving off the coast of Utila (booked through Utila Dive school and stayed in the Mango Inn), we got the boat (catamaran) back to mainland Honduras. 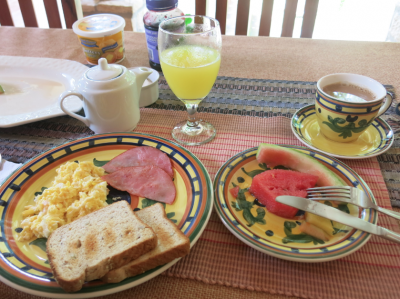 Rather than heading straight for Lago de Yojoa or Tegucigalpa, we decided on a night in La Ceiba. 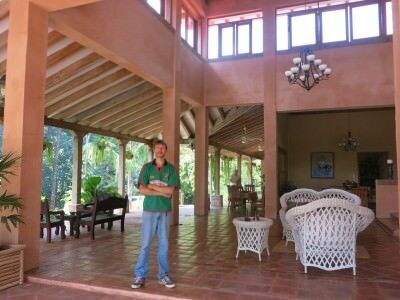 La Villa de Soledad, Rio Cangrejal, La Ceiba. 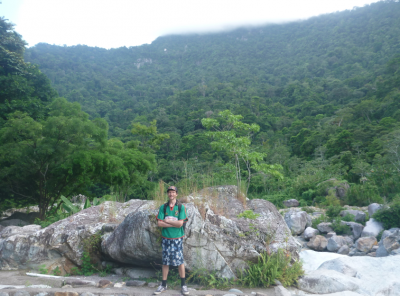 The main idea was to chill out here but as I discovered the 2national parks on the edge of La Ceiba are stunningly beautiful and offer all sorts of activities!! One night turned into two nights and could easily have become three (and should have been if I wasn’t on yet another tight schedule!). I found a gem of a place called La Villa de Soledad, best hotel in La Ceiba. This was just the perfect place to relax after a week of diving. 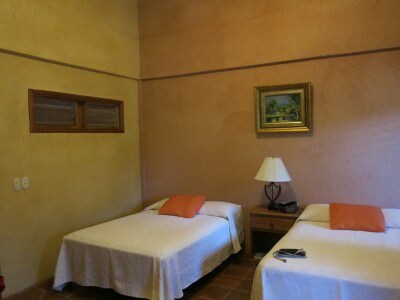 In fact the motto of La Villa de Soledad is “Relax in Nature”, perfect! 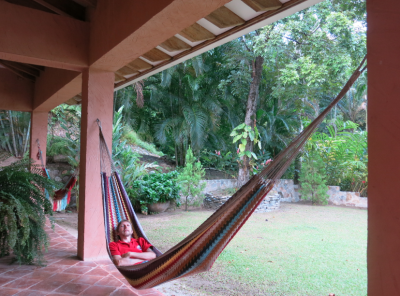 Relaxing in La Villa de Soledad, Rio Cangrejal, La Ceiba, Honduras. 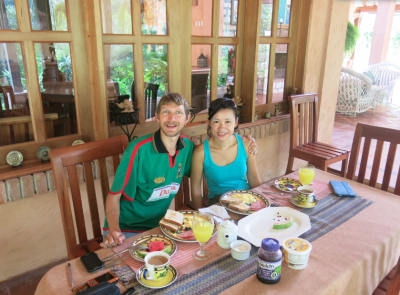 I was greeted with a warm welcome by the owners, John and Soledad. Soledad is of course where the name La Villa de Soledad comes from. As it turns out, owner John Dupuis is a travel expert, a business owner, a writer and a man who knows all about Honduras and the travel industry. So immediately I was intrigued and John and I could have some great chats! John even offered to help organise some of my other ideas for Honduras and Leon (in Nicaragua) and was constantly giving us advice and tips. 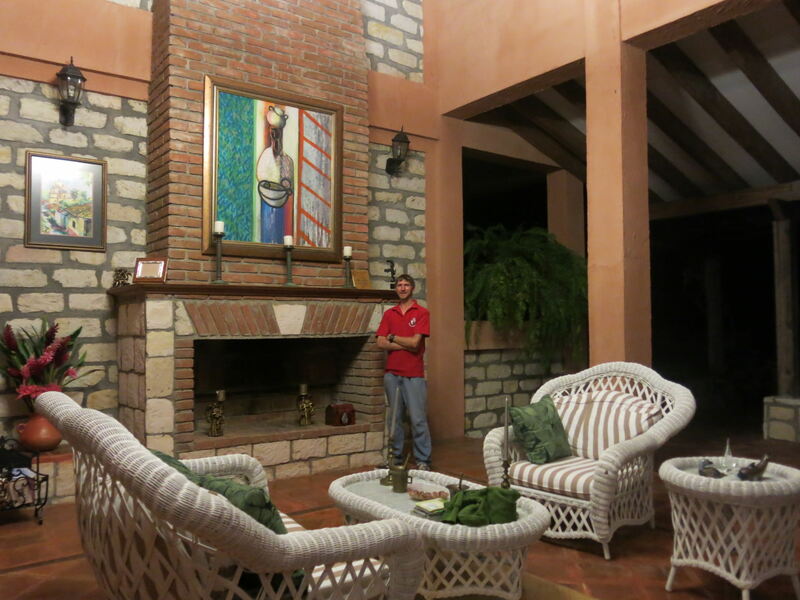 He’s an inspiring guy and his lodge here is just a sensational place to relax. Chilling in the comfort of La Villa de Soledad, Rio Cangrejal, Honduras. Where is La Villa de Soledad? Rather than being in the city of La Ceiba itself, La Villa de Soledad is actually in an area known as Rio Cangrejal, named after the river that flows through it. 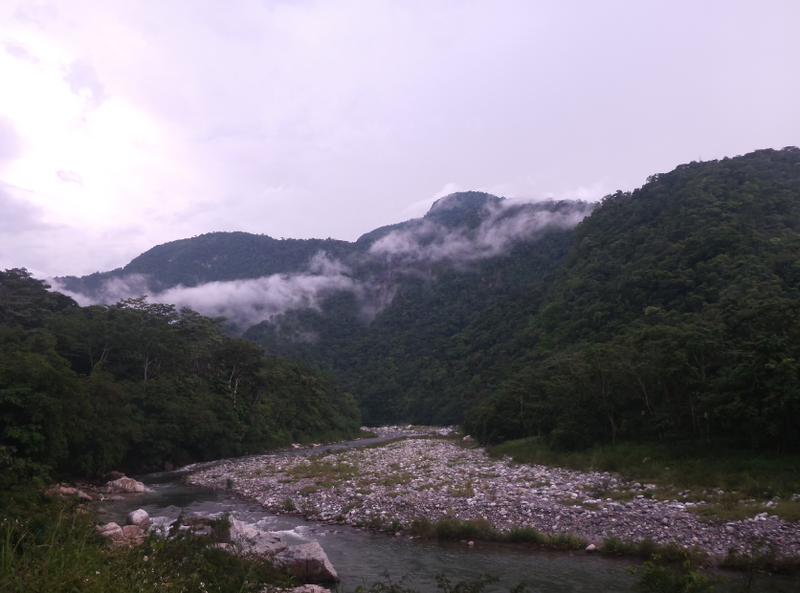 The Rio Cangrejal actually separates the two national parks here. On the west you have Pico Bonito Parque Nacional and on the east Nombre de Dios Parque Nacional. 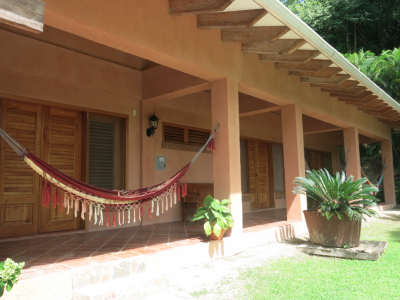 La Villa de Soledad is up a hill on the dirt road that runs alongside the Rio Cangrejal. Simply put, the area is gorgeous. 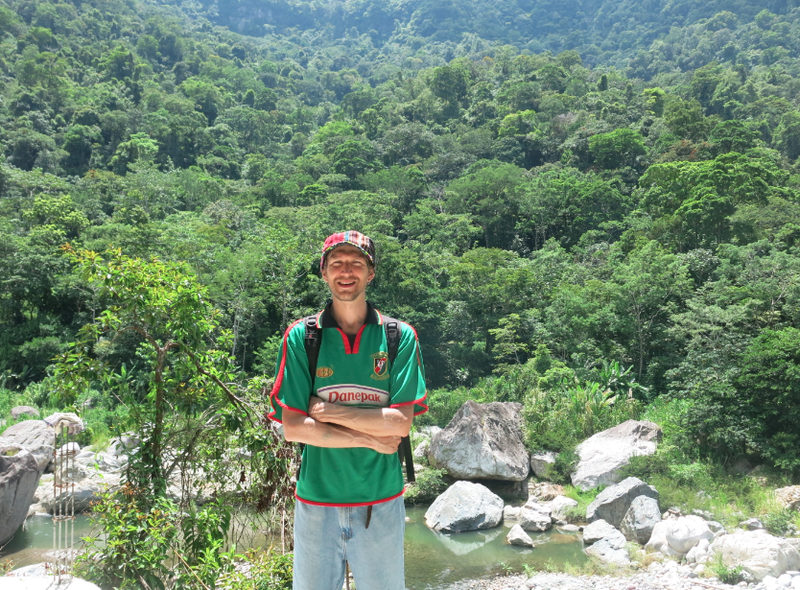 Walking by the river in Rio Cangrejal, Honduras. I’ll write about the activities in the Rio Cangrejal area in a separate article, as you can go ziplining, hiking, swimming, kayaking and white water rafting! 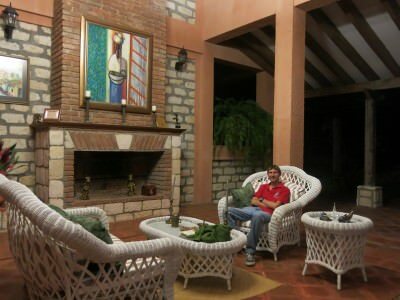 Check out how spacious the lounge and outdoor patio are – cosy, tranquil and you are at one with nature. Superb. 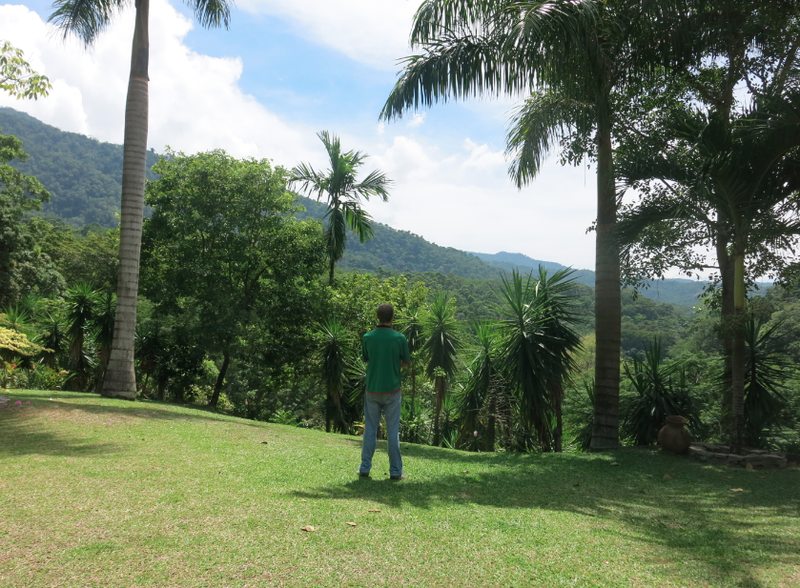 Who wouldn’t want to wake up with views of a glorious forest in rural Honduras? Just stunning and not a care in the world. 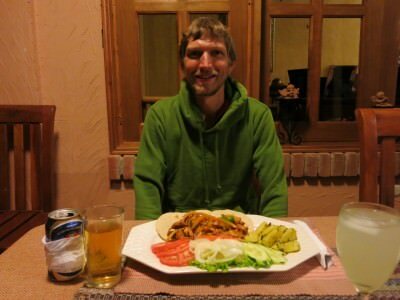 Oh the joys of Central American backpacking. Tough afternoon was it? A luxury, not a given. 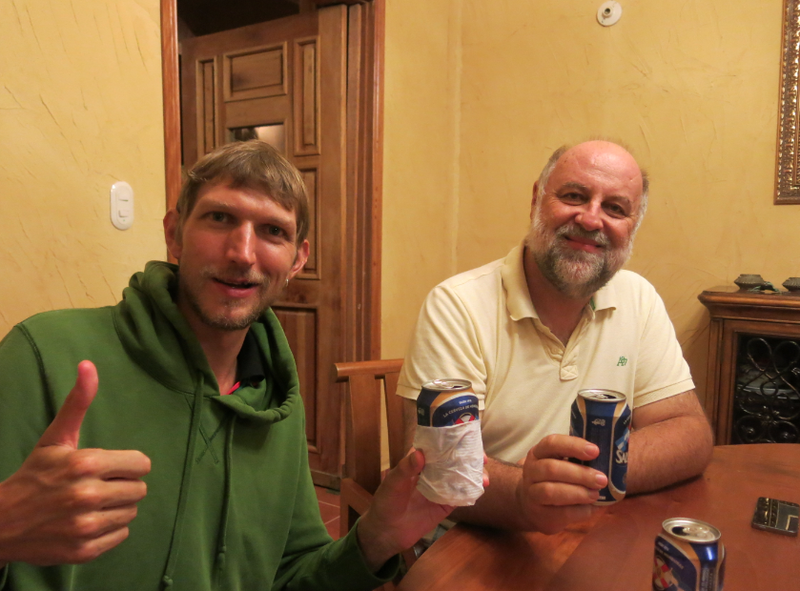 Believe me and we’ve stayed in a load of hostels and guesthouses in South and Central America the last few years. Enjoy the hot water here! Hot water in the shower! This was the biggest and most pleasant surprise. I don’t just backpack, I work on the move and as a result, fast wifi is essential. 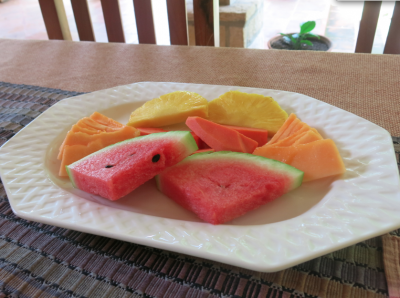 After some sketchy wifi on Utila and in San Pedro Sula, it was nice to get my blogs typed up a bit faster! I was able to get lots of blogging done! 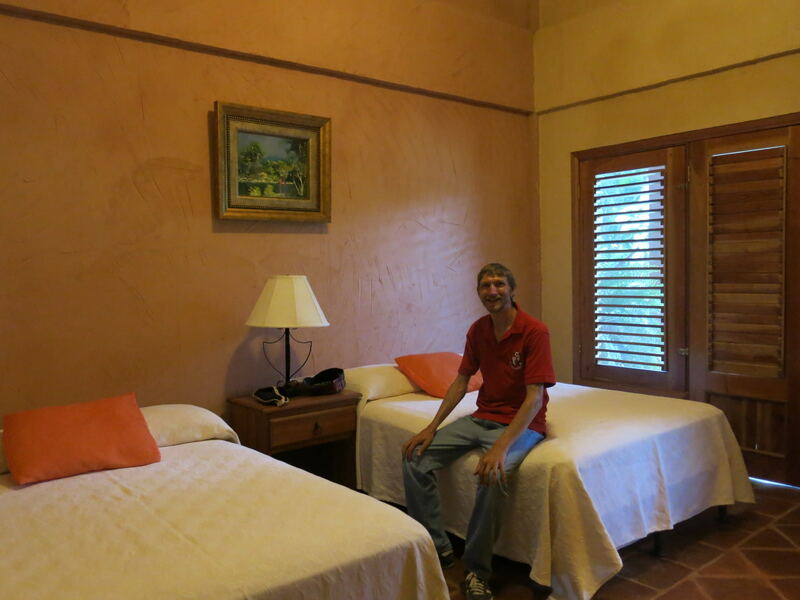 Not only is John a mind of knowledge, advice and information on Honduras, but John and Soledad are welcoming hosts. It’s no wonder this is the number one place on Tripadvisor in the area. Beer and chat with John Dupuis. Ask John Dupuis a question about tourism in Honduras and he’ll know the answer. 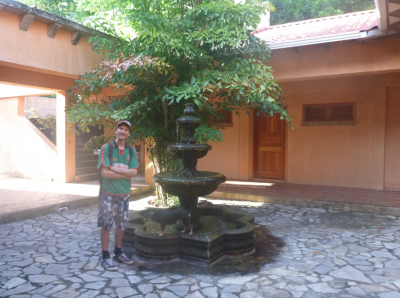 He started the Honduras Tips magazine off his own back and has worked on a load of tourism projects down the years so he is the best man to get some sightseeing and tourist information from. What’s even better is – he has time for you. I love people who care about their customers and John does exactly that. 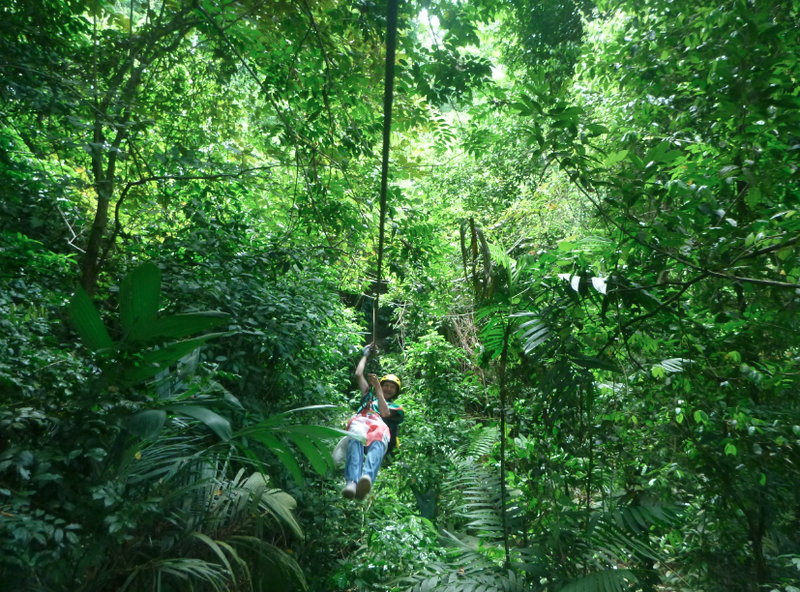 All the local tours in the area are within easy access – the zipline is a 20 minute walk, the river is very close, the bridge to the Pico Bonito National Park and the hike to the waterfall. Everything is nearby and handy. Touring the national parks nearby. When the sun sets, the beers come out, the laptop goes on (you know how it is) and it’s time to relax. And believe me, this is the place to do it! Breakfast is included in the room price and is top notch. 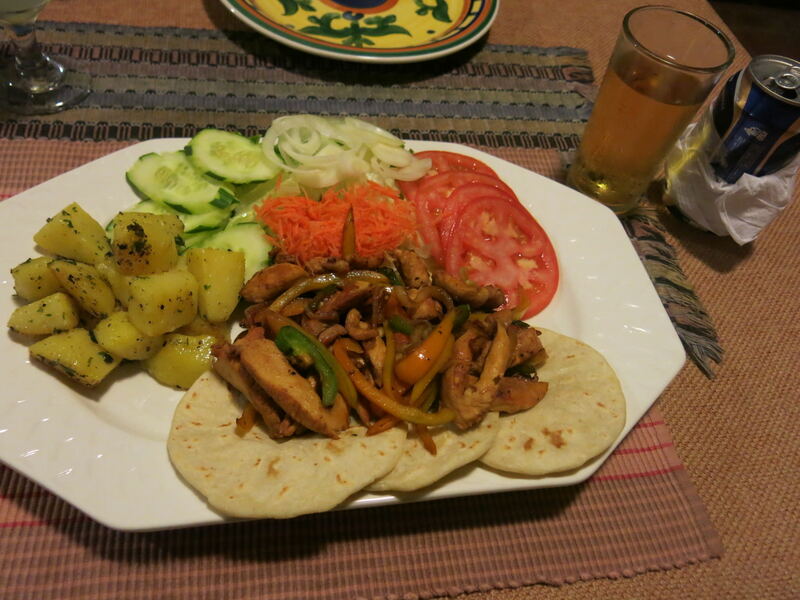 Everything is cooked and prepared freshly for you and served with a smile. For a dinner tip, ask for the chicken and vegetable meal. We had it two nights running! So hopefully the photos and that top 10 is enough to convince you to not only stay in La Ceiba/Rio Cangrejal but to make sure you book into La Villa de Soledad. 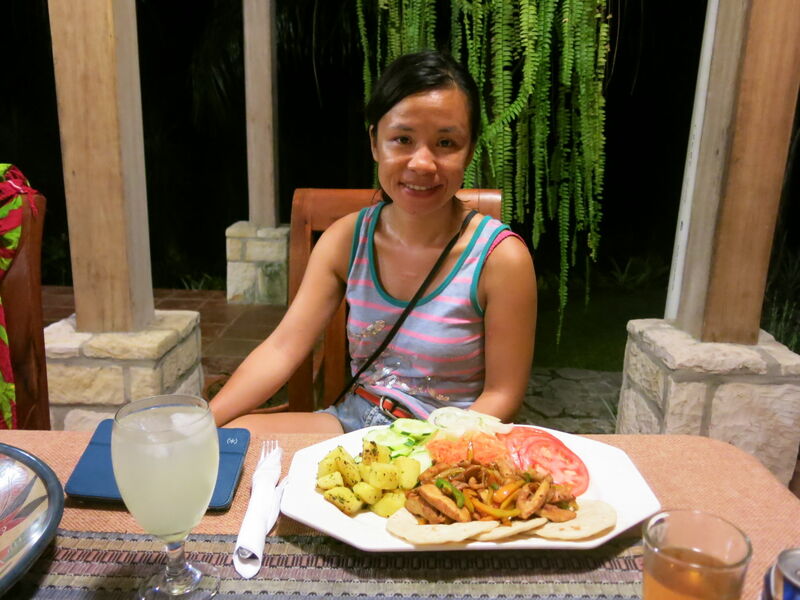 I’ve a load more articles to come on Honduras, so watch this space in the meantime, get La Ceiba on your itinerary, don’t make it a town you pass through just to “do Utila”. Book La Villa de Soledad on Agoda. 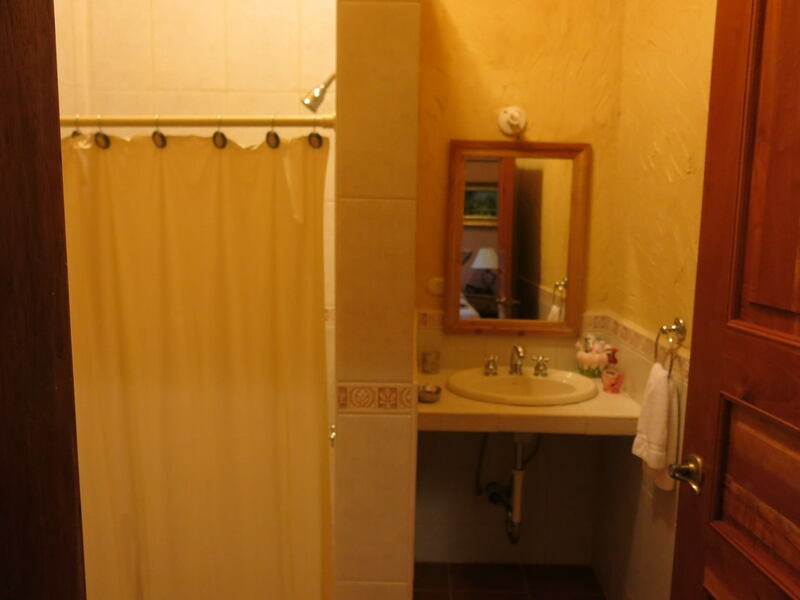 This entry was posted in Accommodation, Honduras, Hotels, La Ceiba, North America, Rio Cangrejal. Bookmark the permalink.